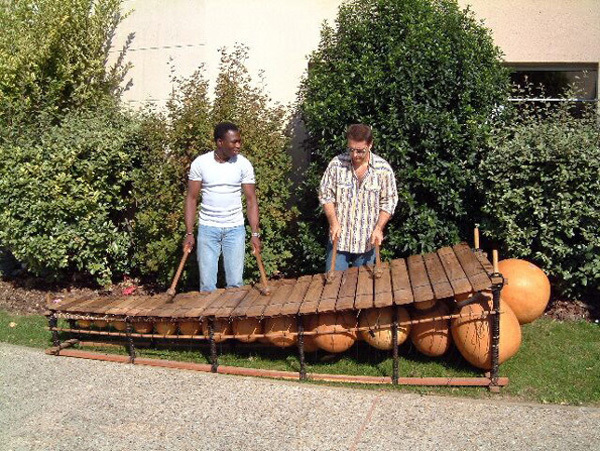 The musician Aly Keïta was building an enormous balaphone, which has been specially made for a festival. Keita is from a family of musicians that has been playing the balaphone for generations and thus created a tradition. The crafting of the instruments is part of the musicians´ training. 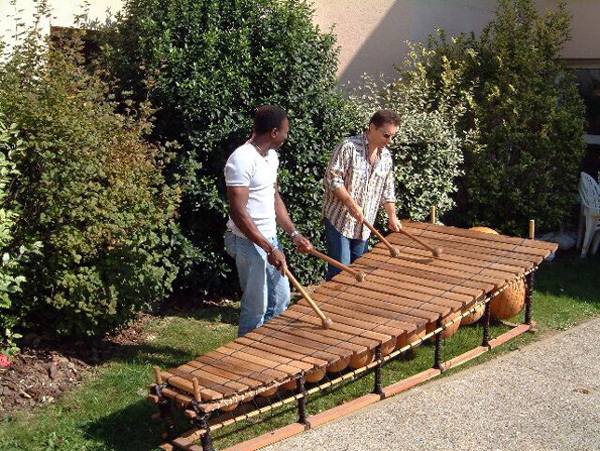 Keita has learned his craft from Zouratié Coulibaly, a famous musician in Mali. This diatonic balaphone has 29 slats made of palisander. Calebasses serve as soundboxes, all elements are tied togehter with cowhide cords. In order to produce a sound that sends out soft metallic vibrations, membranes of a smoothed out spider´s nest have been attached to the inside of the soundboxes. 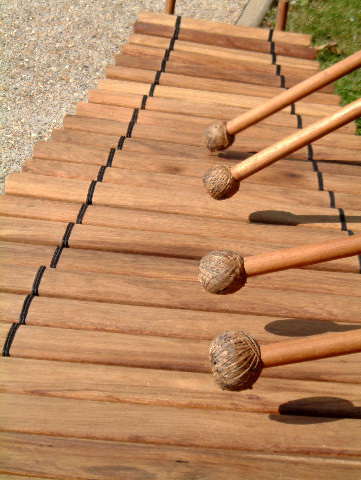 Four sticks with natural caoutchouc for playing the instrument. The balaphone is 3 metres in length and up to 1.35 metres in width. Built for professional purposes, it is, to our knowledge, one of the largest instrument of its kind. 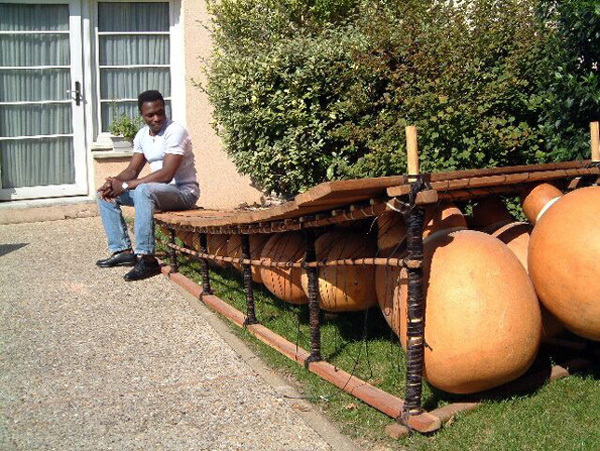 During four months, Aly Keïta has traveled to three countries to find calebasses of the size needed.